The Back2Crawl Home Series Bear Crawl Horizontal Exercise Machine takes your workouts to a horizontal level. 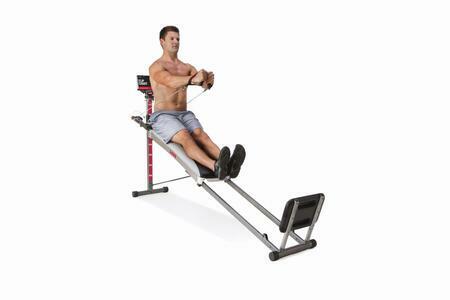 This exercise machine engages a wide array of different muscle groups while also allowing you to target the specific muscles you want to strengthen. Additional Features:Durable metal construction Develops coordination agility and core strength Bear crawl movement is proven effective Dimensions: 81L x 9W x 19H in.. Magnetic resistance. Targets a variety of muscle groups. 242 lb. weight capacity.